After sharing stories with a friend about Dinosaur Jr shows, it has become apparent that some interesting stuff happens when these guys are around. It was loud and hypnotizing. 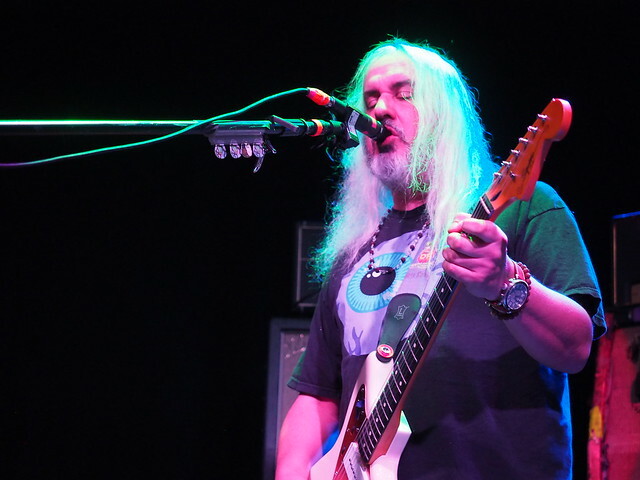 Front man J Mascis played several beautiful guitars with ease. Lou was shoeless, and his hair on point, not to mention his picking the bass like the man. Murph beat the hell out of his drums. Like me, it was hard for the capacity crowd to really take it all in. Partially because of the tall, mainly male crowd- I couldn’t see over them- but also, because of the pure sonic blast. Check out some of our shots below!